It was at my lowest point that I made what would come to be the best decision regarding my health. I spent years and years suffering with acne (and you really do suffer, as much as you try and put it in to perspective, your personal suffering is always staring at you in the mirror, in a car window, any reflective surface acts as a torturous reminder of the ruined landscape of your face). I finally decided to abandon all the routes that Western medication led me, many of them leading to dead ends or along roads rocky with unwanted side effects, and tackle the problem holistically. I myself, like many females out there, began suffering from acne at the age of thirteen. It started as typical, scant teenage spots and persisted and also worsened as I progressed into my later teens. After multiple over-the-counter products (too many to list), prescribed topicals, and various courses of antibiotics and birth control pills, I made the decision to go on Roaccutane at the age of nineteen. After a mere two months I was beautifully clear for the first time in years, this lasted around one year before my acne began to return and I went on another longer, more intense course of Roaccutane at the age of 21. My hair fell out, I lost weight, my knees and back ached, my vision blurred, but I eventually became clear again. It took a year for my hair to fully recover, by which point my acne had again returned in full force. I had been led to believe by many Doctors that Roaccutane was the ultimate cure for my acne. It was prescribed to me as the ultimate, last end resort and explained that past patients had great success on the medication and never went into what they call ‘relapse’. I now know isn’t a relapse at all but just your body returning to its natural state. Roaccutane literally dries you up, without any sebum, the hormones cannot ‘feed’ on anything and no acne is created. I had put my body through so much, and it hadn’t worked. This was my rock bottom. It wasn’t until finding The Love Vitamin website that came round to the realisation that I didn’t need to destroy my body with harsh medications and topical creams to gain clear skin. Reading a story about somebody who had been through what I had with acne resonated with me strongly, as well as information on acne that was useful and relevant. 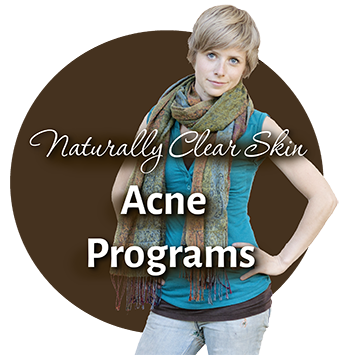 I knew that my acne was hormonal, and finally here was a way to target it without going on the birth control pill! I felt elevated. 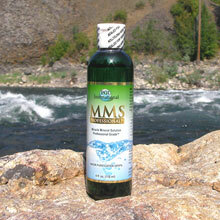 The Love Vitamin gave me the hope and courage to head on the journey of healing myself naturally. I began to make subtle changes to my diet, cutting out dairy, taking zinc supplements and abandoning the harsh face washes and topicals. I did see an improvement in my acne, but it was apparent to me that I needed a supplement that would bring my hormones in line. However, I was so desperate to clear my skin that I fell into a horrendous trap of buying every supplement going. This obviously wasted a lot of time and money, and also, as I was taking too many things at once, I was in the confusing situation of not being able to pinpoint what was doing what. The whole thing was becoming a big mess. I was also researching incessantly, every spare minute of my day, on the way to work, on my lunch break, on the way home from work, nights and weekends. My entire life was dedicated to clearing my skin. It was stressful. It was exhausting. It was counterproductive! It was at this point that I decided that I needed to see a Medical Herbalist (similar to a Naturopath). 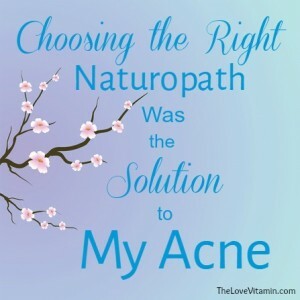 One thing I would urge you to keep in mind if you are considering visiting a Naturopath or a Medical Herbalist for your acne is, no matter how desperate you may feel, go with your gut instinct. Although there are people out there well versed in this profession who will ultimately try their best to help you and give you effective treatments, there are also unfortunately others who merely ‘dabble’, and some who are out to earn money off the vulnerable. On top of this, some are genuine, but not well versed in treating hormonal issues. A few I contacted were honest with me from the start and informed me that they weren’t entirely sure that they could help me, and I appreciated that. A few others seemed to want to grab me in quickly, without listening to me fully and explaining what exactly it was that they did. That’s when I went with my instincts and decided not to pursue it. I also still highly recommend you to do your own research. I was doing a little too much research and it had begun to take over my life, however, by keeping abreast of the wide range of herbs and supplements out there, I had a good idea of what would work for me and it set off alarm bells when Naturopaths I spoke to hadn’t heard of Agnus Castus, or Evening Primrose Oil. If it sounds like it’s going to be a waste of your time, it probably is. It was only when I came across somebody who I really felt was professional in their approach to holistic medication that I decided to take the leap. He had an up to date, well presented website with a full list of appointment centres and information on his practices. He was honest and professional in our rapport. And finally, I had an appointment with him in a clinic centre in the centre of town. We went through my full history, all of my medication and symptoms and finally, how my acne made me feel. He was very focused on the knocks my self-esteem had taken and the fact that acne had prevented me from living my life to the full, something that no other Doctor had ever bothered with before. Although I had done a lot of my own research and understood my body and my acne, treating it myself was becoming chaotic. I had gaps in my knowledge and misconceptions from numerous reviews and fragments of the internet. Alongside this I was fuelled with the desperation and deep seated longing of wanting, needing to become clear, leading me to panic and buy any supplement going. I needed direction off somebody experienced, and who could tailor an effective plan specifically to me. When it comes to treating an individual for something as complex as acne, there is no one size fits all approach that covers everyone. We are all different for a reason, which is why it can be so frustrating to tackle acne effectively as you could be breaking out for any number of reasons. Additionally to this, I was taking herbs and supplements that were great for my symptoms, but maybe not as effectively as I could be doing. For example, I was having great success with Agnus Castus, but I was taking it in capsule form spread out through the day (two in the morning, two at night). My Medical Herbalist advised me that taking it in liquid form in a single does every morning would be more effective, and that I should always aim to take it within 15 minutes of waking as that is when the pituitary gland is most susceptible to the herb. Seeing a Medical Herbalist pulled my holistic healing route in to order to give me consistency and direction. Only then did I begin to see the full effect of the results. I saved money, eliminated stress, and ultimately, got my life back. I have been consistently clear for four months. I have hope for the future. Grace Robin Doughton is 24 years old and she lives in Manchester, England. She loves travelling, painting, photography, and reading. 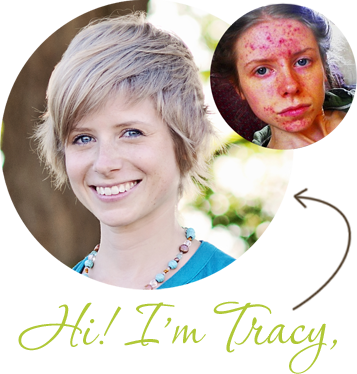 How Lilla Got her Acne & PCOS Under Control How Domh Found her “Natural Acne Cure” Through The Love Vitamin My Results From The Naturopath & Food Sensitivity Tests Can Miracle Mineral Solution Cure Acne? I bought your e-book recently and I’ve watched many of your YouTube videos. I think what you’re doing is amazing. I have learned so much (not just about acne) and I am so excited to get this journey started. I know that this is the only solution to acne free skin and I only wish everyone in the world with acne would discover your program! Thank you for all your hard work! You’re such an inspiration and a true gem! Thank you so much, Grace, for sharing your story. This is exactly what I need to hear right now. After giving up conventional acne medication and taking a more natural approach to my health, over the past year I’ve been able to clear up my skin quite a bit. I have cut out dairy, gluten, refined sugars, soy…. 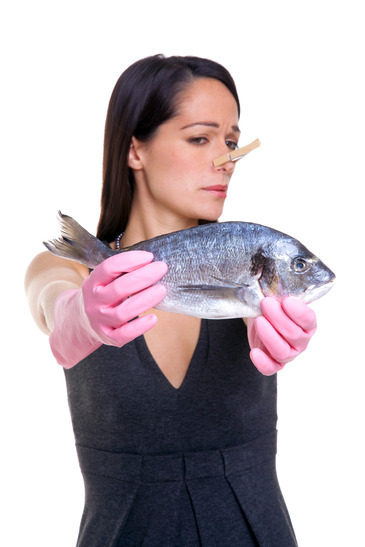 (the list goes on) and have tried various different supplements as well as doing Tracy’s candida cleanse – twice. But I’m left in a situation similar to the one you describe in that I don’t really know what’s truly working for me. I’ve decided to see a naturopath for some guidance and food sensitivity testing because I’ve come to realise that I’m not going to be able to get through this on my own. So to read that seeing a herbalist was exactly what you needed is really encouraging and has convinced me that it will be the right thing for me. 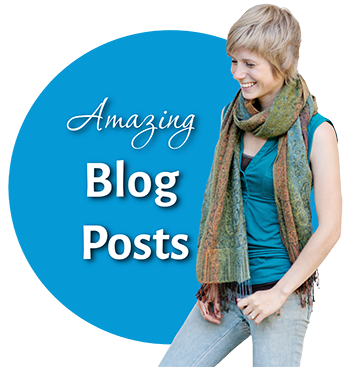 Also, thanks Tracy for your wonderful blog and for providing everyone with so much valuable information. I love that you dedicate a lot of your posts to the emotional effects of acne and healthy eating. It’s such a big part of dealing with acne that a lot of others don’t pay much attention to. I definitely couldn’t have come as far as I have with out your help! I’m glad that my article has helped you and hopefully will help inform your decision in seeing a naturopath/medical herbalist. The internet is a great platform in finding a whole host of information but sometimes that last bit of professional guidance is needed to help pull everything together and set you on a path that gets (and keeps) you clear. I wish you all the best in your journey. I live in England too, and keen to find out what naturopath/herbalist you have been seeing? Would be great to see if he can help me too! Hi, I live close to manchester, would it be possible to get the name of the herbal medicine practitioner you’re seeing? I have seen so many weirdos lately that I am really wary to continue, so it would be awesome to get a name. Of course, if you want to mail me on gracerobindoughton@hotmail.co.uk I can let you know the details. This sounds like the next step for me as I’ve been making diet changes but hesitate to start taking any pills for either hormones or liver without knowing for sure what my exact problem is for acne. Looks like it’s good advice to know the names of things like Vitex so if the doctor has no idea what it is, it’s already off to a bad start. Yes that’s right – my own research began because I was so desperate and hopeful and it was through finding The Love Vitamin amongst other sites that spurred me on to do more research and gain more knowledge. However, I also now realise it’s always good to keep yourself as informed as possible because then you are more equipped in protecting yourself, which is important. For me, finding a naturopath was a longer process as it was a step I kept abandoning and then revisiting. I started by searching naturopaths and medical herbalists in my area, but it was only once I had contacted a few and searched for a while that I made a final decision. My advice to you is to just start with good old google and also shop around. Remember that at the end of the day you are looking for a service just like any other and you don’t want to buy into anything second best or that isn’t up to scratch. I wish you all the best in your search and on your journey.